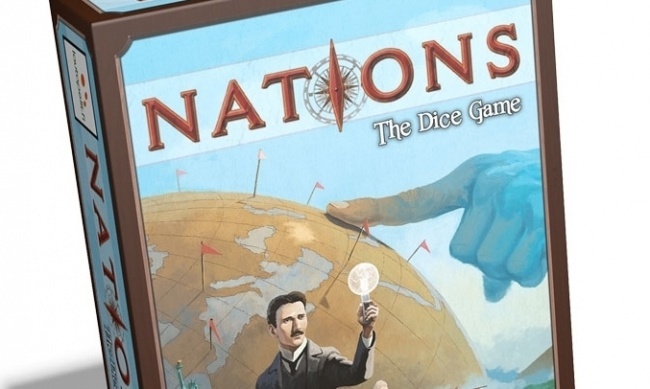 Asmodee has added several new board game titles to its already impressive list of forthcoming releases (see “Asmodee Winter 2015 Round-Up and “Martin Wallace's 'Onward to Venus' and 'Mythotopia'”): Nations: Dice, Elysium, Formula D Expansion 6, and Room-25: Season 2. 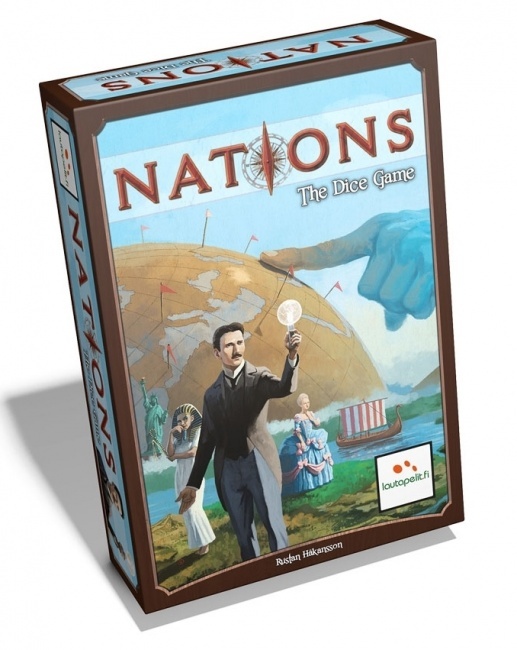 Nations: Dice is a dice-driven variant of the civilization-building game Nations (see “Asmodee Delivers 'Nations' to America”). Players still compete to build the mightiest and most successful civilization, but in this variant, available buildings and resources are defined by the players’ dice pool. Advisors, colonies and wonders give points and chips that may be exchanged for re-rolls or resources once per turn. The box contains 33 chits, 44 6-sided dice, 1 4-sided die, 8 wooden player markers, 12 event tiles, 60 progress tiles, 4 player order/overview cards, 4 player boards, a score board, a progress board and a rulebook. The game is for 1-4 players, and plays in 10-15 minutes per player. MSRP is $49.99. The game releases in March. 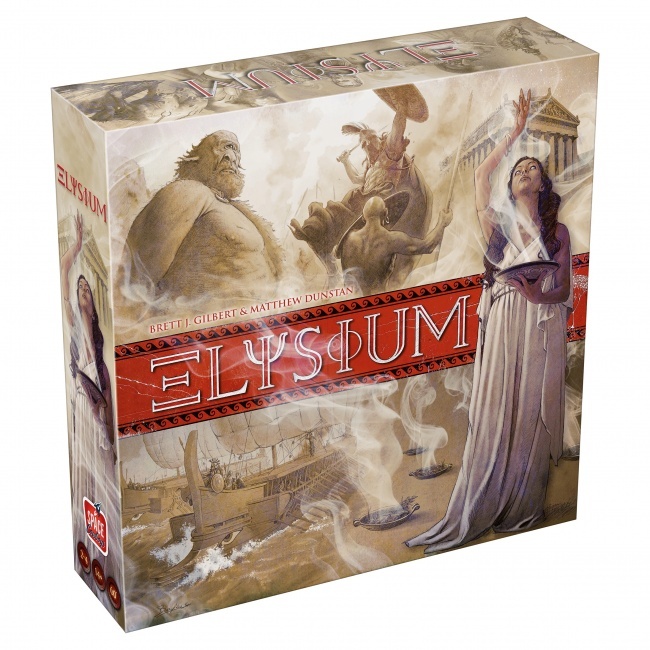 Elysium has players take the roles of ambitious demigods trying to claim a place on Mount Olympus. 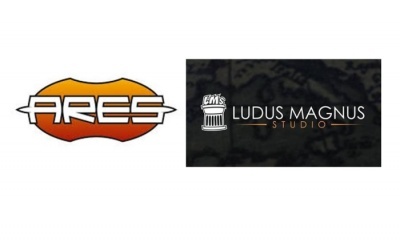 Players attempt to earn victory points by writing legends through the cards they transfer to their Elysium: recruiting heroes, acquiring artifacts, undertaking quests, and earning the favor of the gods. The box contains: 168 cards, a temple board, an oracle board, 6 quest tiles, 16 columns, 4 order of play discs, an epoch marker, 19 bonus tiles, 40 gold tokens,45 victory point tokens, 25 prestige point tokens, 12 trigger rings, 4 player boards, 4 player aid cards, a card guide, and a rulebook. 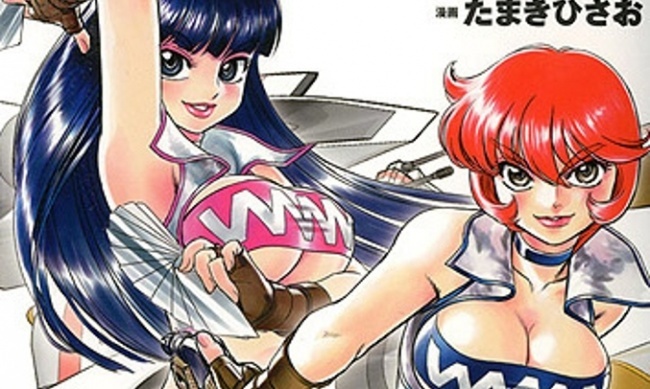 The game is for 3 - 4 players, ages 14 and up, and plays in 60 minutes. MSRP is $59.95. 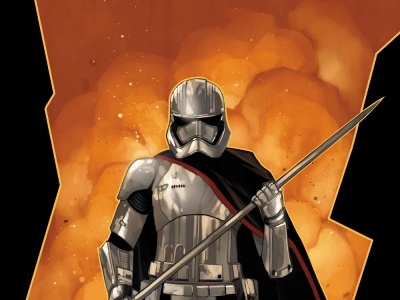 Release is planned for January 28. Formula D Expansion 6 - Austin/Nevada Ride is a new circuit of the Americas, specially designed to accommodate the Formula One cars, and has been hosting the United States Grand Prix since 2012. The second track runs through Las Vegas and through Nevada, from the Bellagio to the Valley of Fire. 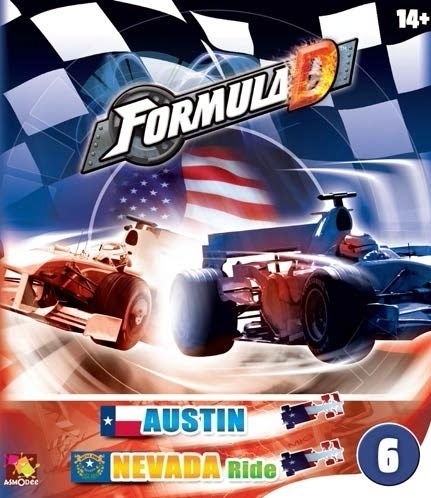 As an expansion, it requires the Formula D main game to play. MSRP is $29.99. The game is scheduled for Spring release. 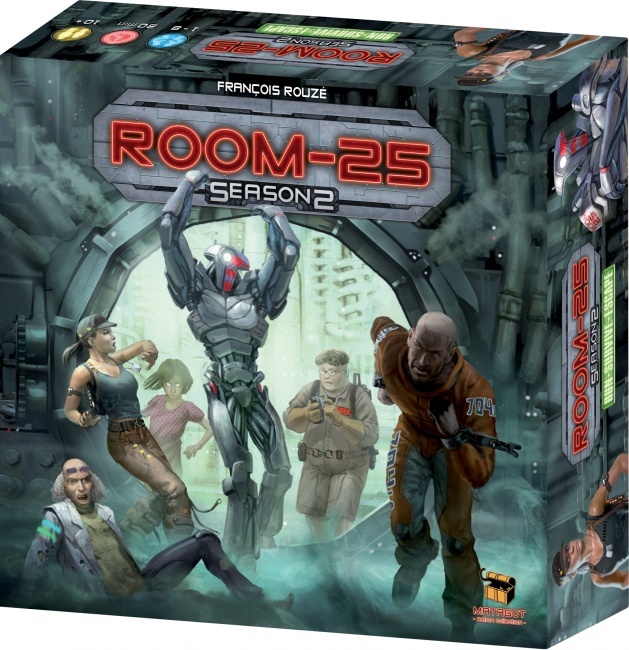 Room-25: Season 2 is a new expansion for the Room-25 dystopian future game show survival game. Player characters now have special abilities, giving Participants an additional action per game. The expansion also adds new rooms. 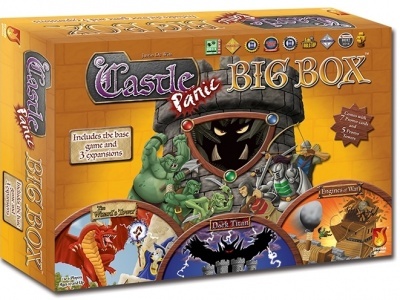 The new game box will have room for both the base game and the expansion. The box contains: 10 miniatures, 15 room tiles, 46 action tokens, 58 MAC cards, 8 adrenaline tokens, 2 role tiles, 16 character records, and 28 tokens and markers. The game is for 1-8 players, ages 10 and up, and plays in 30 minutes. As an expansion it requires the base game to play. MSRP is $39.99. Release is planned for Q1.